When Jules Verne was 11 years old he planned his first big journey. He would become a sailor. But his adventure lasted very little because his parents discovered him and took him back home. He promised not to travel anymore. He would just travel with his imagination. And with the imagination, Jules Verne make us all travel. With him, we've been around the world in 80 days, and we've make a journey to the center of the Earth, but with our imagination. 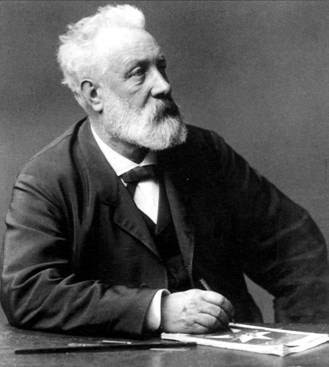 Jules Gabriel Verne was born on February 8, 1828 in Nantes (France). He was the oldest of five brothers, and had always been a restless mind. Since he was a little child he collected scientific articles, and science was always of great interest for him. Following the will of his father, he studied law, but the idea of working as a writer was always on his mind, although his father ridiculed him for this, and this plunged him in a deep sadness. But he never surrendered. When Jules Verne went to Paris, it was a liberation for him. He met many intellectuals. Amongst them, Victor Hugo and Alexandre Dumas. Amazed by the scientific innovations of his times, he decided to make a project: create a new literary style that can talk about the advance of science, the projects of mankind to dominate nature and overcome the barriers of the establishment. But his father, horrified by the project of his son stopped to help him economically. So to make a living, Jules Verne wrote theater plays and sometimes operas of low quality. The demand of this kind of works was pretty high, so he had not much time for doing what he really loved. In 1856 he met whom will be his wife: Honorine de Viane Morel. 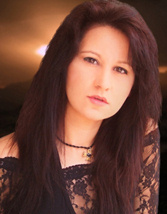 He settled in Paris and worked as a financial broker. Very unsatisfied, he did his last attempt and turned a short novel that he already had written into his first big novel. "Five Weeks in a Balloon" was a big success. He was 35 years old and a contract that allowed him to live as what he always wanted: being a writer. For some time, he also was in politics. Alongside with H. G. Wells, both writers are considered as the fathers of science fiction. Albeit at last he may devote to what he always liked, the life of Jules Verne was not too easy. His son was interned in a psychiatric hospital during years. His very beloved nephew shot him in a leg, and he was lame because of this for life. 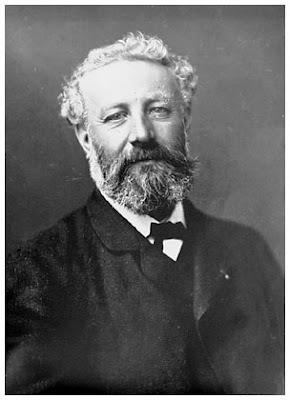 Jules Verne was so devoted to writing that he even suffered from facial paralysis episodes. The health of Verne was very fragile. He was diabetic, and ended loosing his sight and hearing. 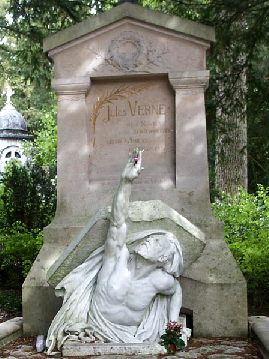 On March 24, 1905, Jules Verne died in his home. There were a series of posthumous books published, that were revised by one of his sons, Michael. But Jules Verne left us a vast collection of works. 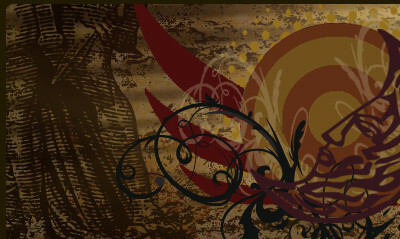 Artworks of literature that were adapted to theater and cinema an countless times. Works that had an entertaining plot plus the reflection of great knowledge of science: geology, mineralogy, paleontology... Detailed descriptions of dinosaurs, ecosystems... All his works are detailed documentaries that imply an enormous investigation work. But the main thing in the works of Jules Verne is that without a doubt he was a visionary, a very advanced man for his times, that was even able of predicting inventions that years later became materialized, or even will be some day in the future. Jules Verne has made us and makes us all travel with the best of the winds: the imagination.